American action-adventure film Robin Hood will be screened in 14 Sri Lankan cinemas from today. They are Liberty by Scope Cinemas; Empire - Colombo; MC Cinemas – Colombo; Milano – Kegalle; Scope Cinemas (CCC) – Colombo 3; Regal – Gampaha/Nuwara Eliya; Savoy Colombo 04; Aruna – Kiribathgoda; Rauoo – Katunayaka; Liberty Lite; Sky Lite Malabe; Vista – Ja-Ela and Sky Lite Matara. Directed by Otto Bathurst and written by Ben Chandler and David James Kelly, Robin Hood 2018 movie is based on a story by Chandler. It is based on the tale of Robin Hood and follows his training by John to steal from the Sheriff of Nottingham. The film stars Taron Egerton, Jamie Foxx, Ben Mendelsohn, Eve Hewson, Tim Minchin and Jamie Dornan. 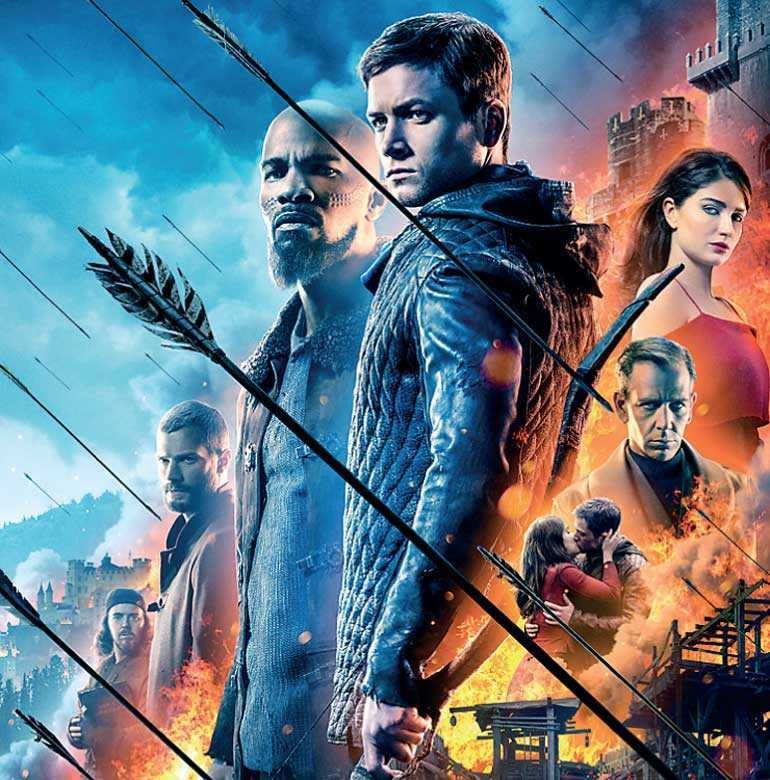 Robin of Loxley (Taron Egerton) a war-hardened Crusader and his Moorish commander (Jamie Foxx) mount an audacious revolt against the corrupt English crown in a thrilling action-adventure packed with gritty battlefield exploits, mind-blowing fight choreography and a timeless romance.